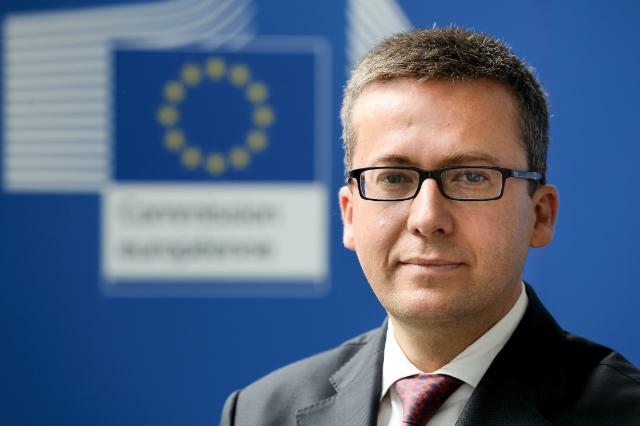 <h2>Big data can show research impact – Commissioner Moedas</h2><br /><p>From 2014, the EU has set aside EUR 77 billion for research and innovation, under Horizon 2020.<span><br /> <div class="quote-view quotesBlock quote_vertical_right"> <div class="quotesTop"><img src="https://horizon-magazine.eu/sites/all/themes/horizon/images/quotes_top.png" alt="" title="" /></div> <p>‘We are at the tipping point of getting information systems and big data to work with each other.’</p> <blockquote><p>Carlos Moedas, European Commissioner for Research, Science and Innovation</p></blockquote> <div class="quotesBottom"><img src="https://horizon-magazine.eu/sites/all/themes/horizon/images/quotes_bottom.png" alt="" title="" /></div> </div> <p></span></p> <p>However, when working out how successful that investment has been, Commissioner Moedas said that looking at inputs while at the same time measuring outputs was a bit like the Heisenberg principle in quantum physics, which states that you cannot measure the speed and location of a particle at the same time.</p> <p>‘We talk about measuring outputs, but then sometimes these outputs, they are in conflict with each other,’ he said during the event on 22 September, called EU Budget Focused on Results.</p> <p>The problem is that if the incentive for researchers is to author a high number of academic papers, then there is a risk that the papers might not be very good, and if the incentive is for patents, then there is a risk that the patents won’t have any impact.</p> <p><strong>Tipping point</strong></p> <p>However, Commissioner Moedas said that we have reached a tipping point in the way we can measure outputs.</p> <p>‘We are at the tipping point of getting information systems and big data to work with each other,’ he said. ‘With the information that we have today we can do a much better job, because it is not about one indicator, it is about a meta-analysis of a lot of indicators.</p> <p>‘For instance you can say, “Look, is this person doing a lot of publications but not a lot of patents … is he actually getting a product to the market?”.’</p> <p>He said that this type of analysis had already demonstrated that small- and medium-sized enterprises (SMEs) funded under the EU’s Eurostars programme, which specialises in supporting research-based SMEs, created more jobs. That’s when they were compared with successful SMEs which had not been funded.</p> <p>‘There you are linking employment growth with funding, you are linking two variables that before were separated, and then you can link other variables, that’s the idea,’ he said.<br /> <div class="moreInfoBlock"> <h3>European projects app</h3> <p>During the conference, EU Vice-President Kristalina Georgieva launched a web app which enables people to discover EU-funded projects around the world.</p> <p>She said the app covers projects ranging from <a href="http://ec.europa.eu/budget/euprojects/creating-path-early-recovery-education-syria_en" target="_blank">improving education for children in Syria</a> to the <a href="http://ec.europa.eu/budget/euprojects/sunlight-jet-fuel-eu-project-makes-first-solar-kerosene_en" target="_blank">SOLAR-JET project</a>, which showed how to make jet fuel from sunlight, CO2 and water and a <a href="http://ec.europa.eu/budget/euprojects/overhauling-city%CB%88s-waste-management-system_en" target="_blank">waste management system in Bulgaria</a>.</p> <p>The app is accessible here: <a href="http://ec.europa.eu/budget/euprojects/" target="_blank">http://ec.europa.eu/budget/euprojects/</a></p> </div> </p> <br /> <img src=”http://www.google-analytics.com/collect?v=1&tid=UA-40077089-1&cid=big-data-can-show-research-impact-–-commissioner-moedas&t=event&ec=republish&ea=read&el=big-data-can-show-research-impact-–-commissioner-moedas&cs=republish&cm=republish&cn=republish&cm1=1" /> This post <a href="https://horizon-magazine.eu/article/big-data-can-help-show-impact-research-projects-eu-commissioner-moedas.html">Big data can show research impact – Commissioner Moedas</a> was originally published on <a href="https://horizon-magazine.eu/">Horizon: the EU Research &amp; Innovation magazine | European Commission</a>. Big data such as employment statistics should be used in combination with other indicators to reveal the real impact of research projects, Carlos Moedas, European Commissioner for Research, Science and Innovation, told an event on how to show the results of EU investment. From 2014, the EU has set aside EUR 77 billion for research and innovation, under Horizon 2020. However, when working out how successful that investment has been, Commissioner Moedas said that looking at inputs while at the same time measuring outputs was a bit like the Heisenberg principle in quantum physics, which states that you cannot measure the speed and location of a particle at the same time. ‘We talk about measuring outputs, but then sometimes these outputs, they are in conflict with each other,’ he said during the event on 22 September, called EU Budget Focused on Results. The problem is that if the incentive for researchers is to author a high number of academic papers, then there is a risk that the papers might not be very good, and if the incentive is for patents, then there is a risk that the patents won’t have any impact. However, Commissioner Moedas said that we have reached a tipping point in the way we can measure outputs. ‘We are at the tipping point of getting information systems and big data to work with each other,’ he said. ‘With the information that we have today we can do a much better job, because it is not about one indicator, it is about a meta-analysis of a lot of indicators. He said that this type of analysis had already demonstrated that small- and medium-sized enterprises (SMEs) funded under the EU’s Eurostars programme, which specialises in supporting research-based SMEs, created more jobs. That’s when they were compared with successful SMEs which had not been funded. ‘There you are linking employment growth with funding, you are linking two variables that before were separated, and then you can link other variables, that’s the idea,’ he said. During the conference, EU Vice-President Kristalina Georgieva launched a web app which enables people to discover EU-funded projects around the world. She said the app covers projects ranging from improving education for children in Syria to the SOLAR-JET project, which showed how to make jet fuel from sunlight, CO2 and water and a waste management system in Bulgaria.